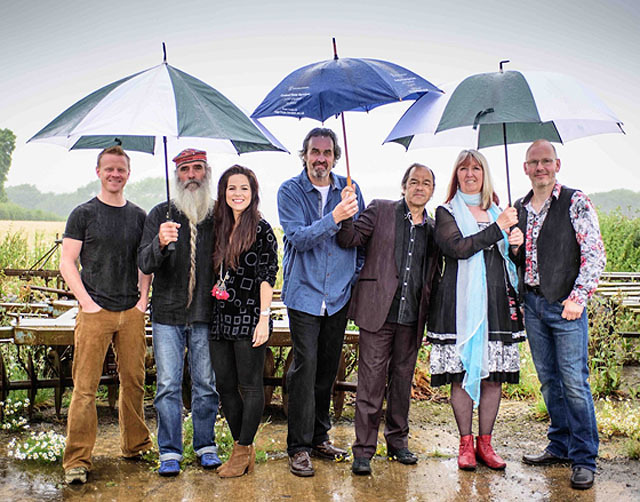 Share the post "News: STEELEYE SPAN UK Tour starts 1 October – win tickets to Cambridge gig (8 October)"
As Steeleye Span approach their their 50th anniversary in 2019 they embark on a UK tour starting 1 October. The band is working on a new studio album and some of the new tracks will feature in the setlist. Steeleye Span are an English Folk Rock band formed in 1969. Still active today, along with Fairport Convention they are amongst the best known acts of the British Folk Revival and were among the most commercially successful, thanks to their hit singles ‘Gaudette’ and ‘All Around My Hat’ which achieved a certified gold record. The present Steeleye line-up is: Maddy Prior (vocals), with long term member Liam Genockey (drums), Julian Littman,(guitar/keyboards and vocals) Andrew Sinclair (guitar), Jesse Mae Smart (violin and backing vocals), Benji Kirkpatrick (guitar and backing vocals – whose father John Kirkpatrick played with the band in 1977-1978) and Roger Carey (bass). The band will be joined on the tour by another folk-rock legend, Jacqui McShee from Pentangle. Win a pair of tickets to the Cambridge gig on Monday 8 October! Please use the contact form and put “Steeleye Span Comp” in the message section. Competition closes on Tuesday 2 October at 23:59 GMT. Usual competition rules apply. This entry was posted in All Posts, Competitions, Gigs and Tour News, NEWS. Bookmark the permalink.